Read more ... Save on repairs today! Save money on all repairs and service charges! 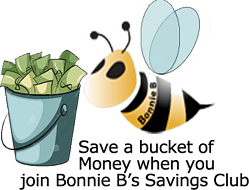 Join Bonnie B's Savings Club! Are you concerned about unexpected repair costs? If you've got a Generator and are interested in a Generator Maintenance Contract we have special savings for you. Join Bonnie B's Savings Club - Save $ Now!